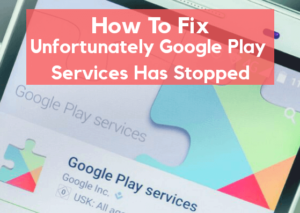 “Unfortunately Google Play Services has stopped”, a message that many users have received at some point on their smartphone, and that will prevent us from downloading applications. How can I solve this problem? There is no single solution, but these three steps could solve it. Of course, we know that the happy phrase Google Play Services has stopped has a rather intimate relationship with the inability to download any application directly from the famous store Google Play Store. It is that Google Play Service is the element that in some way controls everything that happens in the application store , and the solutions to the problem described here are rather varied. Google Play Services is a mother application of the other Google apps. This application is responsible for many different tasks, among which is the update of Google apps and the same application store. Google Play services also provides features such as authentication for Google services, synchronizing contacts, accessing user privacy settings, and others such as location-based services. In the case that this application fails, it is not only possible that Google apps do not work correctly. It is very likely that the software that makes use of this mother application can not even be executed , so it can not be used in any way. This google play services has some different types of errors like play store error rh-01 based on the mobile and some other like error code 495 for android devices. How to make Google Play Service work again? The first trick we can recommend in this regard has to do with deleting the data and cache of Google Play Services from Settings, Applications, All, and then search Google Play Services. 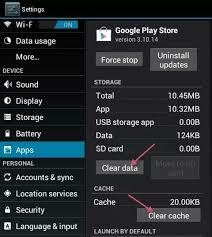 We are looking for the Clear cache option, and also the Clear data option, which in some mobile phones is within Manage Storage. After doing this, try to see if Google Play Service is already working. If this were not the case, we have a second equally valid alternative, which has to do with deleting the data and the cache of the Google Play Store, basically following the same steps we have detailed in the previous step. The only difference is that instead of looking for Google Play Service in Applications, we will search Google Play Store, first deleting the cache and then all the data. After all these steps, we have to restart our smartphone, and if we did not have a solution to the problems of Google Play Service, then it would definitely be time to contact the manufacturer of the device or our operator. Another potential solution is to reinstall the latest version of the application. But only if you have root rights will you be able to completely uninstall the app and install it again to be able to do with it what you want. In case you have the necessary administrator permissions you can uninstall the software in the same way as with any other application. Go to Settings> Applications> Google Play Services and click on the ‘Uninstall’ button. This option is only available to those with the necessary permissions. Otherwise, you can see a button ‘Disable’, although it will not be helpful on this occasion. The other way to get reinstall the latest version of the application is to basically uninstall the update. Needless to say, an update can be the cause of many problems. It is something that has been seen over the years with various programs and operating systems. It is not uncommon that an upgrade can bring more important failures. Unlock the phone and go to the device settings. Click on the side menu (three dots in the upper right corner of the screen) and click on “Uninstall update” . Press OK to confirm the restoration to the factory state. Now you will have to wait a few seconds and you will see how the application has been completely restored. This means that it will return to the initial version, eliminating any additional function that has appeared in the updates that have been emerging over the years. To be able to restore the latest version you just have to go to the app store and update it from your own Play Store page. In case this is not possible you can always download the APK file of the latest version.